It’s time again to get back into the blogging world. I’ve missed everyone. It’s been a few weeks of cleaning out the desk, clearing out files, various bits of rubbish, and getting ready to start a new year afresh. I’ve received a challenge to try more black and white photographs, so I’ll give it ago this year. It’s the time of year to assess writing projects and make a plan for their finish. I have two major ones to get done this year. I’ll keep you posted! I will master Twitter! I will! I will! We’ve had some awful weather all round. Some are still in a deep freeze in certain parts of the United States, and others in jolly old England are wondering why they didn’t invest in Wellie stock. Water, water, everywhere. I’ve been lucky and untouched by it all. I did have a power outage and learned a few things.. When they say keep your batteries charged, well do it, it makes sense. My iPhone could only do so much with it’s battery app, and when dressing in the dark…. Only have black clothing, or monochrome clothing in your wardrobe. Black top, black trousers, black underwear, bra and all–this will get you out of the house looking stylish and so put together. Not like your neighbour who was spotted wearing a green plaid sock on one foot and a light brown on the other! As for Makeup don’t try to put it on with a flashlight! You’ll end up looking like a ghost come back to life in the hands of a three-year old with her Barbie make up kit. Not a good look, trust me on this one! Just ignore the odd looks, take the espresso outside, do your mascara and what nots. You will look crazy yes, but fabulous. Mostly I learned…it’s not that bad when you have your silk underwear on hand, a vodka martini from the freezer, the worst that can happen is you’ll end up with a crazy selfie that you’ll post on WordPress. It all works. Not to worry! Gallery | This entry was posted in Memories and musings and tagged selfie, Twitter, vodka, Word Press, Word Press blog, Writers. Bookmark the permalink. 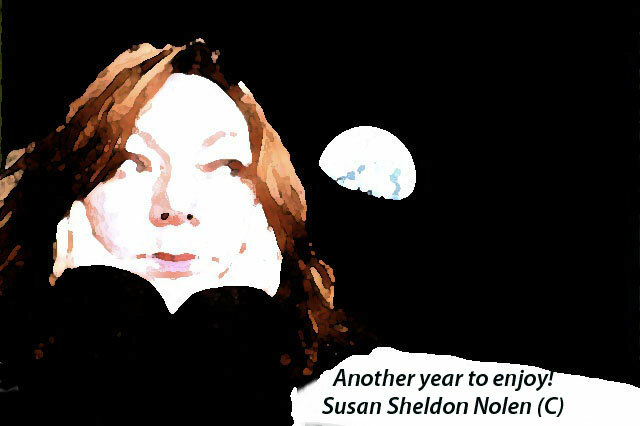 I wear a lot of black, Susan, but trying to find the right thing in the dark can be a bit of a problem! Hehehe! I don’t bother with make up, but I have a feeling if I were to trowel it on in perfect daylight, I’d still look like death warmed up! Fun post. And Happy New Year!